Japan's economy has enjoyed unprecedented technological growth in the decades since World War II. At first stereotyped as an exported of shoddy goods, Japan now enjoys a worldwide reputation as an efficient manufacturer of high-quality products.This comprehensive analysis of Japanese management treats four related but distinct subject matters: the economic, social, cultural, and political environment pertinent to Japan's industrial and managerial system; the ideologies and background to the Japanese business elite structure and the relationship between government and business; and managerial practices (organizational structure, personnel practices, decision making).The book first describes the postwar technological environment in and outside Japan. 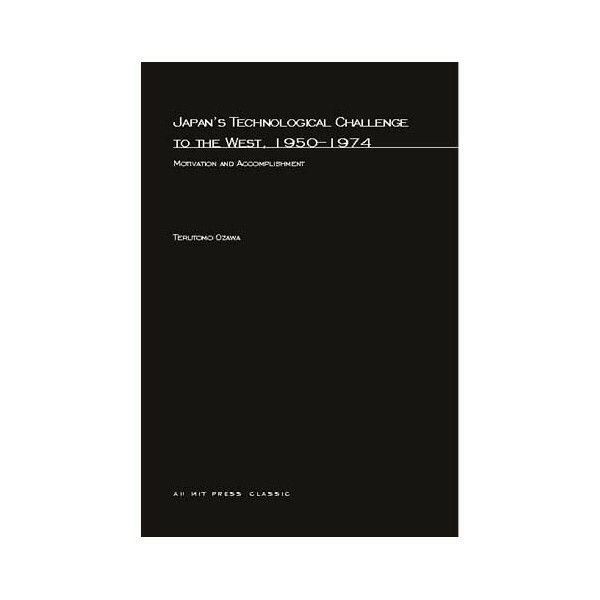 It identifies the Schumpeterian characteristics of economic development and the particular set of relationships that Japan had with the United States and with developing nations in Asia that provided it with the incentive and the necessary mechanisms to advance technologically.The book then examines the Japanese government's selective policy of importing technology for the development of key industries, government controls on imports and on foreign industrial ownership, the efforts of individual Japanese firms to choose, adapt, and perfect imported technologies, and the development of indigenous technologies and their export to the rest of the world.Two final chapters probe the social and psychological causes of Japan's century-old desire to catch up with and surpass the West in industrialization. They discuss the impact of recent changes in the international and domestic economic situation on both the traditional values of the Japanese and the direction of Japan's technological future, and take up some of the implications for United States policy on technology and trade of Japan's rising competitiveness in the world market.